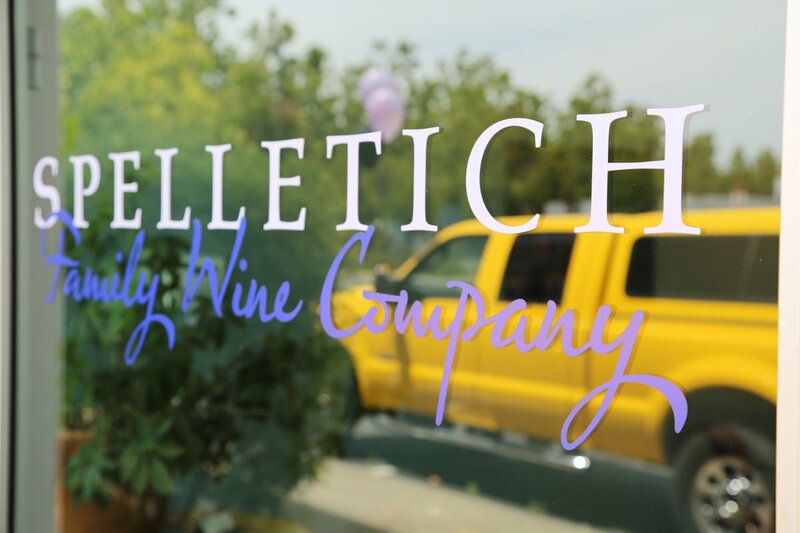 Spelletich Family Wine Company was founded in 1994 and is truly a 100% family run winery. The husband wife team (Barbara and Timothy Spelletich) and their daughter Kristen (who we originally met with) are responsible for all aspects of the wine making, marketing, sales and direction of the winery. 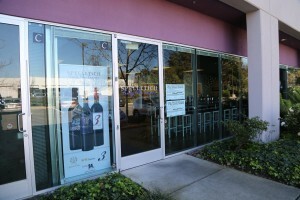 Barbara is the winemaker and has been since their founding in 1994. As the Spelletich’s say, “their secret weapon is Barbara’s Palate”! Early in her career, Barbara spent significant time in France & other European wine making countries tasting some of their most desirable wines and learning winemaking techniques. At one point in her career, she was a negociant selling wines for select premium wineries in France, Italy and Spain. In addition she has considerable experience working in the USA for select distributors. She first came to the Napa Valley in 1992 and worked at what was St. Clement Vineyards (now Faust Winery). Prior to co-founding Spelletich with Barbara, Tim enjoyed a long career in the culinary world. After graduating from the University of Massachusets in Amherst he moved to Italy where he worked at a small inn & restaurant (formerly a monastery). After his time in Italy he returned to the U.S. and worked for the Pierre Hotel in New York and the Four Seasons in Philadelphia. He first came to the Napa Valley in 1993 and worked for at the time, Tra Vigne Restaurant. 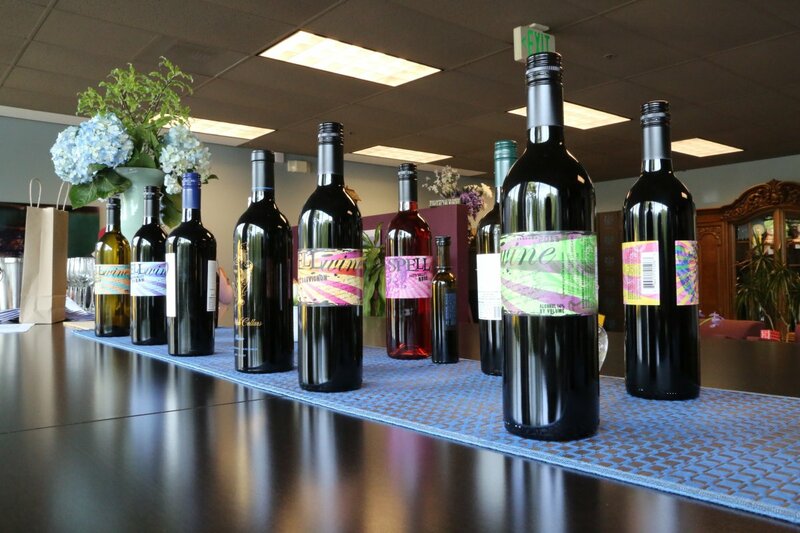 The focus of Barbara’s winemaking is to create wines that are unique to the actual varietals; i.e., producing wines that really highlight the fruit flavors as well as the fruit aromas. She does this in a variety of ways; picking the fruit when its ripe, pressing the fruit at the appropriate time and not letting the oak dominate the wine. She also is a wine making pioneer in one sense by not allowing some of their red wines to go through the normal secondary fermentation (malolactic fermentation). 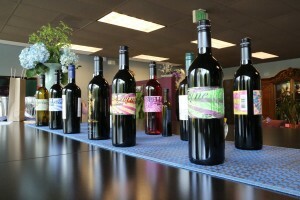 Their fruit comes from Napa County as well as several other wine producing counties within California. They produce Chardonnay, Zinfandel (from Amador county – Sierra Nevada foothills), Syrah, Cabernet Sauvignon and their popular Bodog Red. Bodog was their great great grandfather who was a Hungarian freedom fighter who fought for the independence of Hungary and eventually ended up living in the United States. 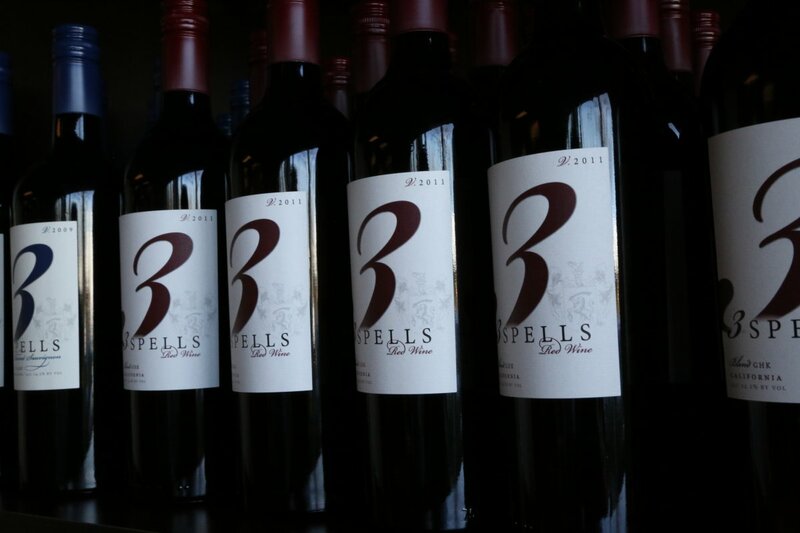 This is a proprietary wine blended with Cabernet Sauvignon, Zinfandel, Merlot and Syrah. Seeing the Hungarian history in relation to this wine, it is only fitting that part of the oak program incorporates Hungarian oak! There is a lot of fruit flavor in this meaty wine (we tried the 2003 vintage) especially blackberries and blueberries as well as some spices including cloves and pleasant nuances of pepper towards the finish. 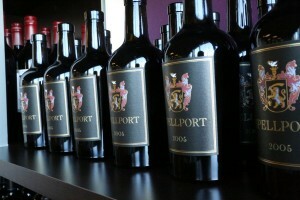 Spelletich often has wines available from slightly older vintages via their website. 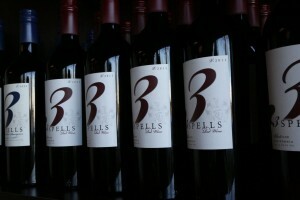 Also be sure to try their very balanced Zinfandel port styled wine made from grapes grown in Amador County. This is a very pleasing wine to drink with delicious flavor (not syrupy, not overly sweet and it does not taste “hot” on the finish”. 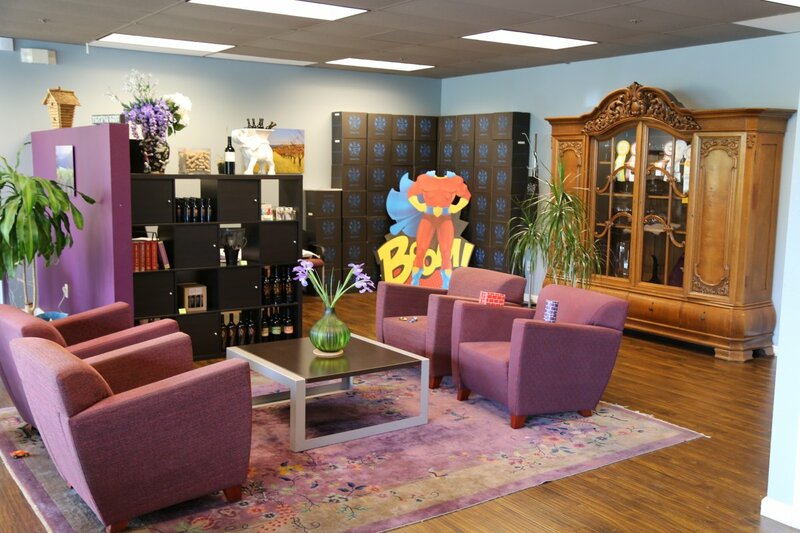 After 20 years of making wine at other people’s wineries, they currently operate their own winery and tasting room in the Crusher District, a business park located in the southern part of the city of Napa that is home to a number of tiny and tucked away wineries. The name of this district is from the Crusher statue located in a prominent hillside location next to Highway 12 just south of the city of Napa. 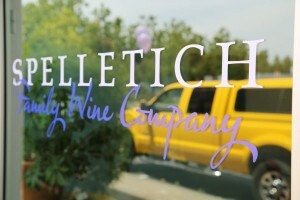 Spelletich was one of the founding winery members of the Crusher District. 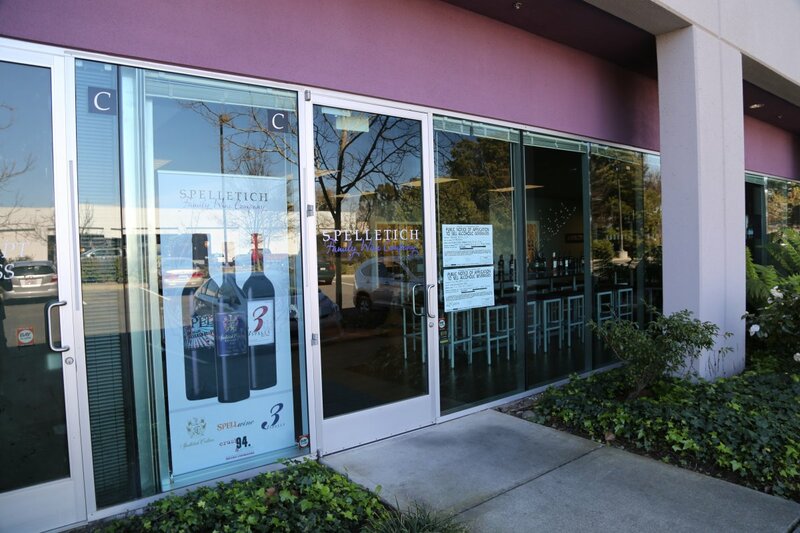 Their tasting salon is in the front of the winery, a lab adjoins and the sizable winery facility is located directly behind the tasting salon. 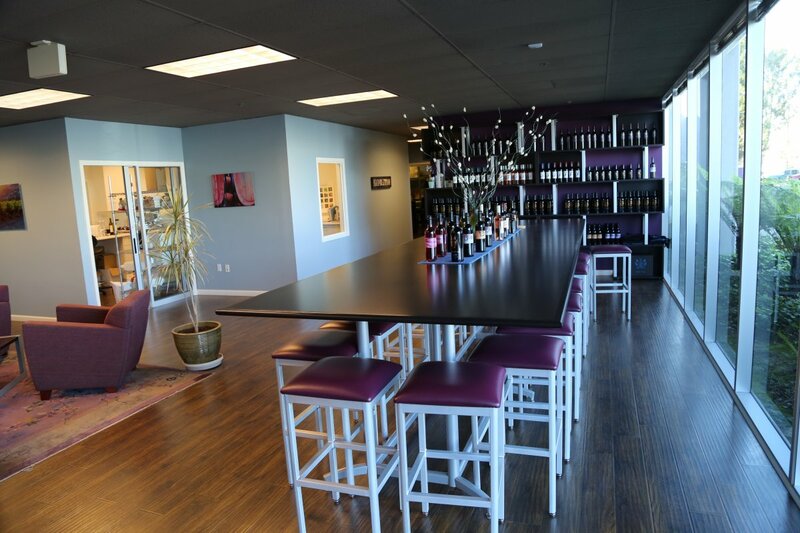 Not only do they make their own wines here (the production facility is 16,000 square feet), but they also rent out space to other small producers. In honor of the year they were founded, they call their winery and related services, Crush 94. 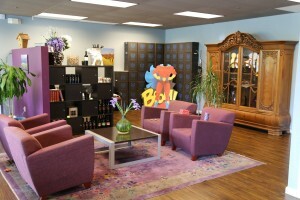 This is a full-service custom crush facility from winemaking to bottling. Plenty of parking on site. Can your wine be bought online? if not, where in Austin, Texas? 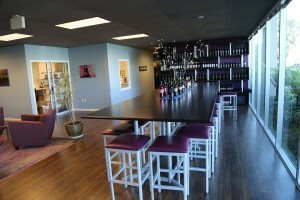 or you can give me a call in our Tasting Room at 707-775-7300 & i’m happy to assist you. Jay – thanks for responding to that comment – I really need to do an update of this review and visit the current location where you make the wine. Are you around later this month?